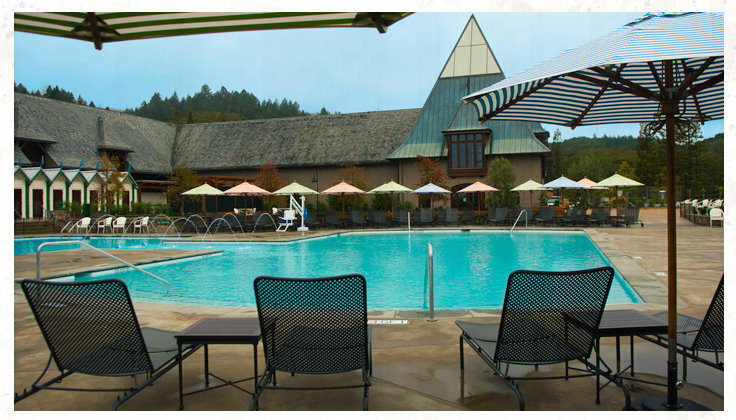 A weekend in wine country? Yes, please! I know I'm leaving shorty for my Phoenix trip, but I can't stop thinking about this other lovely place... While researching my favorite wines [which I am currently obsessing over], I found that they have the most beautiful winery! 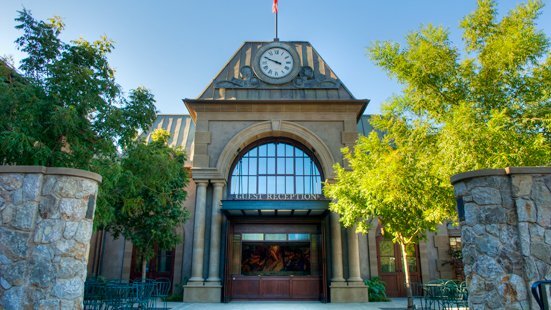 Located about an hour north of Napa, in California's wine country, the Frances Ford Coppola Winery is definitely my kind of place! I have *always* wanted to go to Napa for a weekend of leisure and wine tasting! Last July when Luke & I drove down to San Francisco for a very long weekend, we drove by the Napa Valley exit & I was thisclose to making the 20 miles detour & extending our vacation! 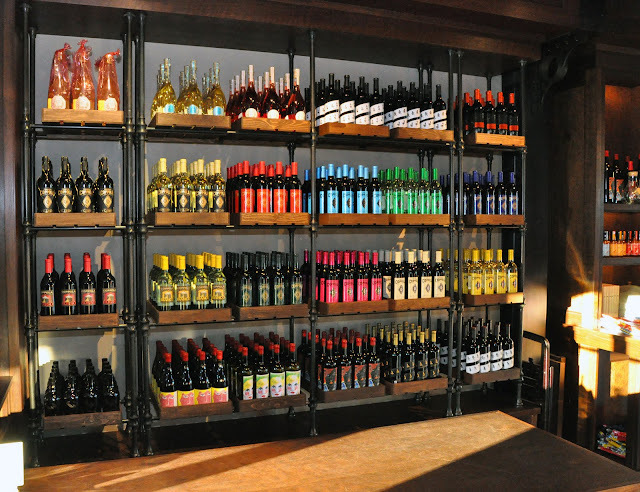 Check out these beautiful pictures of the winery... I really hope to visit this place someday... soon! 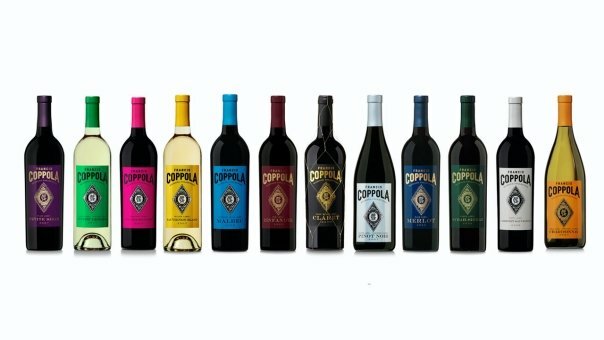 A selection of the great Francis Ford Coppola Wines. 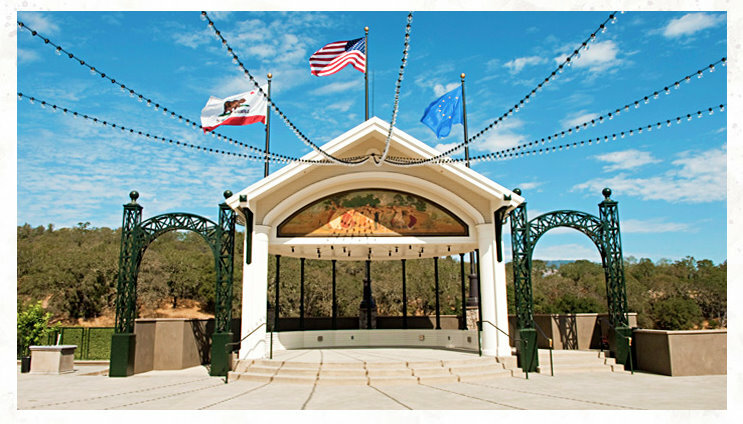 How gorgeous is this entrance? 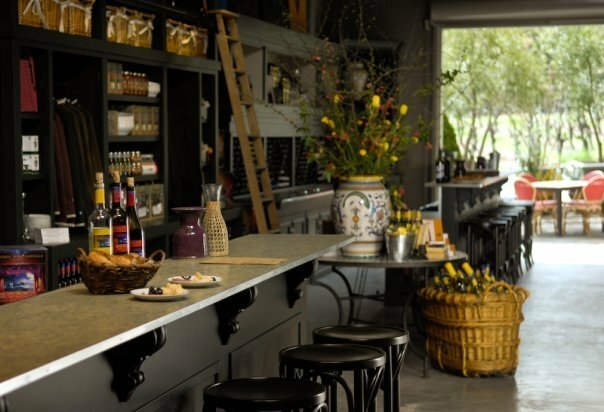 I would love to hang out in their tasting room & sip all their delicious wines... How cute is this tasting room?! 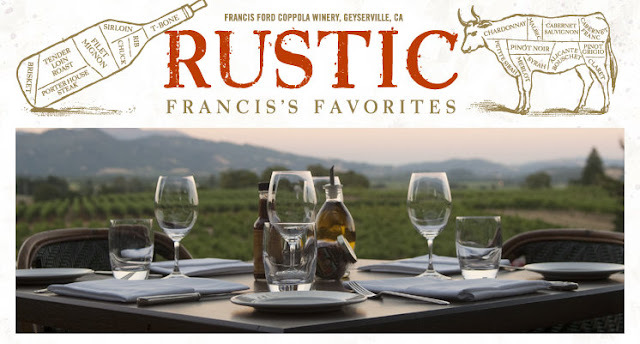 Rustic, the restaurant at the Winery, looks absolutely delicious! With almost everything on the menu priced reasonably under $20! After dinner they have live music & dancing out in the pavilion. Fun! My dream! A massive collection of all my favorite wines! I want to go there too! There is a lot of history.. something about a piano from the Godfather or something!